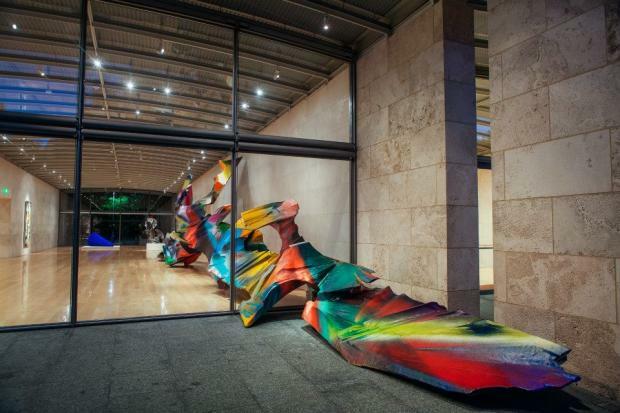 DOWNTOWN BROOKLYN — German artist Katharina Grosse's latest sculpture entitled "Just Two of Us," will go on display in the MetroTech Commons Plaza later this month, Public Art Fund announced. Opening on Oct. 27, the artist's first outdoor installation in New York City includes eighteen fiberglass-coated forms spray painted in striking colors. The artist visited the site several times in order to plan the size and placement of each of her forms, according to The New York Times. Public Art Fund partnered with Forest City Ratner Companies to present the vibrant contemporary art installation. It will be on display through Sept. 14, 2014.